BlueJeans customers will be getting improved call quality, thanks to a partnership the company unveiled Tuesday. Dolby is working with the videoconferencing company to improve call clarity for people using its service. As part of the deal, BlueJeans will integrate Dolby Voice technology for all the video and audio calls made using its service. It will provide a number of benefits to users, like reducing background noise on calls and normalizing sound levels from different speakers. 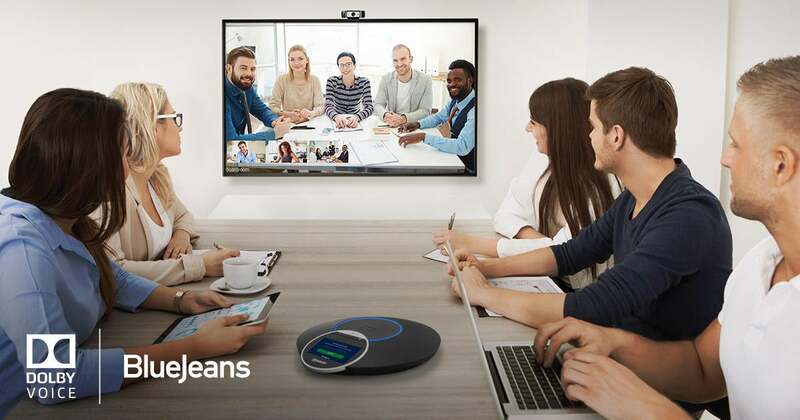 While BlueJeans offers video meetings, company CEO Krish Ramakrishnan said that good voice connections matter more than high-definition video. “If people are presented with good quality video with poor audio and [then presented with] poor quality video with great audio, then asked to rate the quality of the videoconference, people will say the one with the greater audio quality is much better,” he said. Improving call clarity is an important move for BlueJeans as it competes with a slew of other companies in the videoconferencing market, including startups like Zoom, established players like Cisco and tech titans like Microsoft and Google. The videoconferencing company also announced a handful of product updates, including support for remotely controlling meeting participants’ computers. Remote Desktop Control allows people to perform live demonstrations and tech support over a videoconference, something that the service was missing relative to WebEx. When it comes to the Dolby partnership, the companies are working together to bring Voice to all of the videoconferencing service’s customers later this year. In addition, BlueJeans will connect the Dolby Voice Conference Phone to its Huddle product for meeting rooms. That speakerphone adds an additional layer of spatial audio, to help people better differentiate who is talking on a conference call. BlueJeans also unveiled a partnership with Kaptivo that will make it easier to share the contents of a whiteboard over a video conference. Kaptivo sells a camera that records what users are writing, and then streams it to other participants on a call who can’t be there in person to see what people are writing. BlueJeans Primetime gained support for pre-event registration, so people conducting webinars and presentations using the service will be able to get a sense for who’s attending ahead of time. Dolby Voice support will be launching in beta this spring, with general availability expected this spring. The Remote Desktop Control and event registration features are available now, with other functionality coming soon.